I finally cooked the Italian sausage I bought about ten days ago. I kept hoping the weather would improve. I gave it up today and cooked the things. I hate it when I buy meat at the supermarket and then I want to throw it out. I have to make myself cook it. It really was very good. I threw spaghetti sauce on it and had fresh parmesan cheese. I cooked tiny shells and peas. It made a nice tasty meal. Sometimes, I wonder what is the matter with me. Maybe it’s the sinus headache that I had all afternoon. Here’s a better sock picture. I am very happy with the stripes. I worked on them for a little while on the porch this afternoon. The heat and my headache drove me back inside. I worked on my nightie, but I had to stop. I wish I had it finished. Doug is still ripping up the dining room. 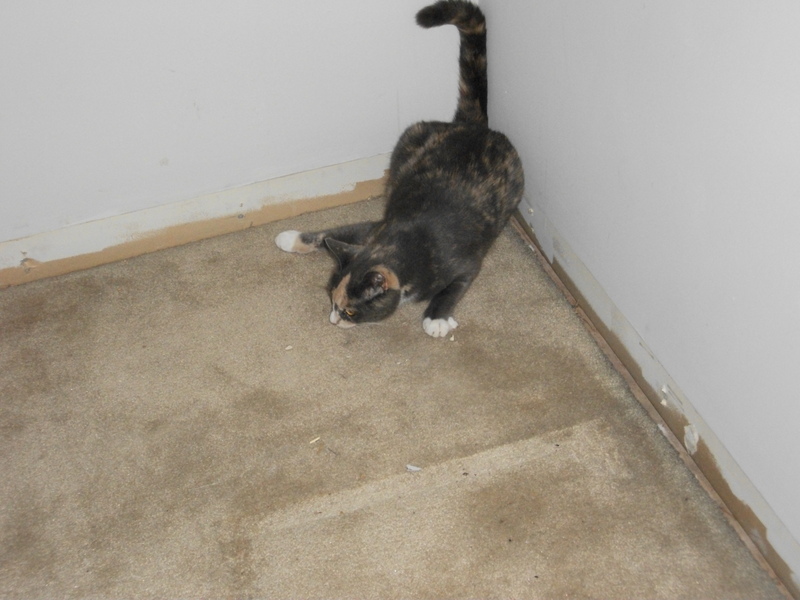 Cora is trying to take up the carpeting, but she hasn’t quite got it figured out. Or maybe she wanted it to stay right where it was. She’ll change her mind when she sees the nice tile floor. 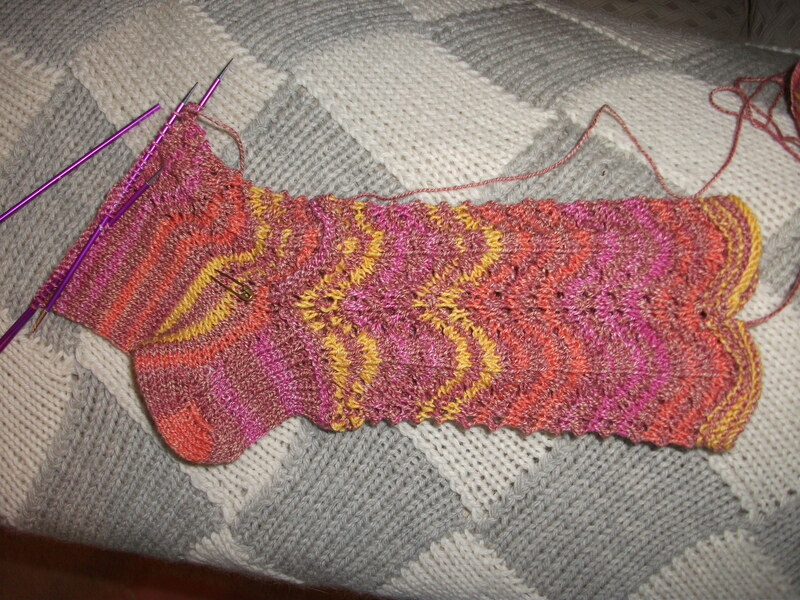 This entry was posted on July 19, 2010 at 10:58 pm and is filed under Family and Friends, Knitting, my pets, Sewing, Stuff. You can follow any responses to this entry through the RSS 2.0 feed. Both comments and pings are currently closed.